Create Calm – Mindful-Based Behavioral health education for children, teachers, families, schools, communities. 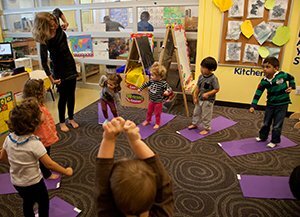 Meeting the specific developmental needs of the early childhood classroom with a focus on yoga for infants through 2nd grade and classroom management strategies for teachers and staff. Providing positive, empowering learning experiences for elementary & middle school students in a non-competitive space that fosters self-awareness, self-confidence, and self-esteem. Crossing social, fiscal, and cultural boundaries to bring teens together to learn the life-long skills of yoga and mindfulness and bring those skills as teachers and mentors into their own communities. The CALM Youth Leadership Academy is a program of Create Calm Inc., a 501 (c)(3) nonprofit organization currently serving communities throughout DC, Maryland, and Virginia. Through a variety of immersive and collaborative yoga and mindfulness classes and trainings, teens will learn self-care strategies and be groomed to teach yoga to children and become leaders in their communities. The mission of the CALM Youth Leadership Academy is to provide mental and physical health education, resources, and support for optimal self-care, positive engagement, collaboration, inclusion, and success for teens through diverse educational programs focusing on empowering teens to feel a sense of belonging, to understand and value themselves and others, allowing them to be active, compassionate, resilient, thriving contributors to their communities. In collaboration with a broad variety of public and private schools and institutions, the CALM Youth Leadership Academy is developing and recruiting a diverse group of students aged 13-18, to attend its Summer Institute in June, 2018. The Summer Institute is one of three learning stages in the CALM Youth Leadership Academy. Students practice yoga and mindfulness through classes in their schools, before, during and after school and at local yoga studios giving teens the opportunity to explore the fundamental principles and benefits of yoga and mindfulness for themselves. The Summer Institute includes 20 hours of instruction on the philosophy and foundations of children’s yoga, how to teach yoga to preschool and elementary-aged children, and mentorship in small groups with registered experienced yoga educators. Students will be assigned an internship track that includes engagement in at least 10 residency practice teaching experiences with children between the ages of 3 and 13. Internship teaching includes adult instructors/mentors who provide guidance and feedback on lesson plans, classroom management and program implementation. Bringing the physical, social-emotional and academic learning benefits of yoga and mindfulness to whole school communities. If every child in the world would be taught meditation, we would eliminate violence from the world within one generation. Transform Relationships…Facilitate Cooperation… Learn effective tools to improve focus, balance energy, and reduce stress in yourself and children. Create calm through purposeful play and encourage self-awareness, relieve tension, and foster social-emotional competencies in your children. teacher preparation, set up and clean up, and travel time. Prices based on program length and content. Discounts for multiple classes, 2-hour, half-day, and full-day programs. No prior yoga experience needed! All ability levels welcome! YES incorporates research-based, secular curricula, including Kripalu Yoga in the Schools and Radiant Child Yoga. YES yoga and mindfulness instruction supports core learning standards,such as those established by CASEL & NAEYC. YES offers differentiated learning experiences to meet the unique developmental needs of all students, including those with ADD/ADHD and autism. YES programs emphasize social-emotional learning and mindful decision-making, the platform on which children develop executive functioning skills, cognitive growth, and the skills necessary to thrive as resilient, life-long learners. YES programs are led by Yoga Educators, instructors with prior experience working with children in school settings, including teachers, counselors, and school administrators, who also possess specialized training in children’s yoga. YES instructors undergo fingerprinting and criminal background checks as well as CPR & First Aid training. Many are also VIRTIS certified and all carry appropriate levels of liability insurance coverage. Professional Development…Personal Growth… Powerful Learning…Workshops, classes, and trainings designed specifically for school faculty and staff and professionals who work with children provide accessible and effective techniques for creating calm, finding focus, and enhancing resilience. Our workshops for professionals who work with children, including school faculty and staff, occupational and physical therapists, health care professionals, and counselors offer highly effective tools for managing stress, building relationships, and fostering greater collaboration and cooperation in school communities. All trainings and workshops include handouts, opportunities for oral and written reflection, teacher preparation, set up, clean up, and travel time. No prior yoga experience necessary! All ability levels welcome! This was the most focused I've ever been. Thank you for showing me how to find my inner peace. It was awesome! I'm going to use this in my classroom and personal life. I found a better way to deal with problems and control my emotions. I had a chance to relax, talk to myself, understand myself much better & how to be a better person. At the beginning of class, I felt foggy. At the end of the class, I felt clear. I will use what I learned in this Yoga and Mindfulness class to calm myself in times of trouble and to better myself in everyday life. I learned that no matter how bad things get on the outside, all I have to do is close my eyes and breathe and I'm OK on the inside. As soothing as yoga is for adults, the practice might hold evenmore benefits for children with ADHD. Find out more about this alternative ADHD treatment from a longtime kids’ yoga instructor, Shakta Khalsa. 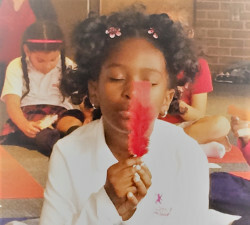 Working with researchers at Harvard University, Kripalu Yoga in the Schools has demonstrated that yoga and mindfulness activities conducted with adolescents, even for as little as 30-minutes a week, result in reduced stress and anxiety, enhanced academic performance, better sleep and self-care routines, and improved self-esteem and self-confidence.